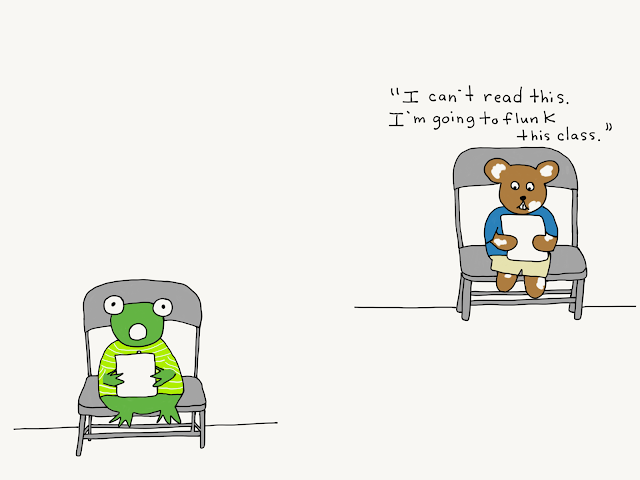 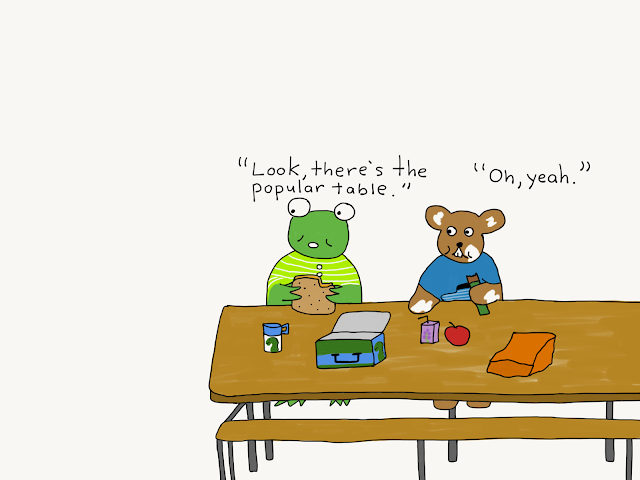 Summer was coming to an end and Frog had that back-to-school feeling in his stomach. It felt like he'd eaten too many potato chips. 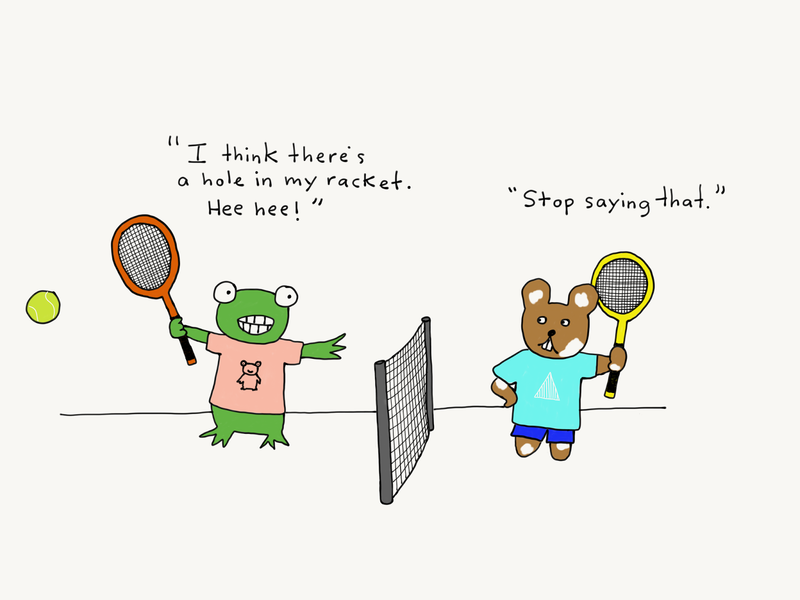 He still hadn't decided if he would audition for the school play or try out for the tennis team. 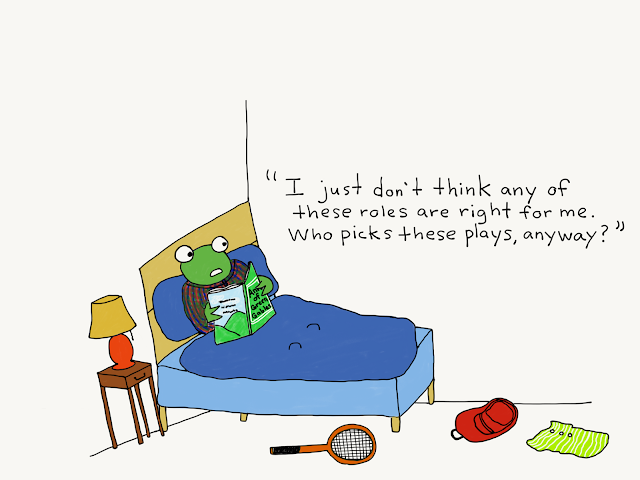 The problem with theatre was that there was a lot of waiting around for all of the other actors to say their lines. 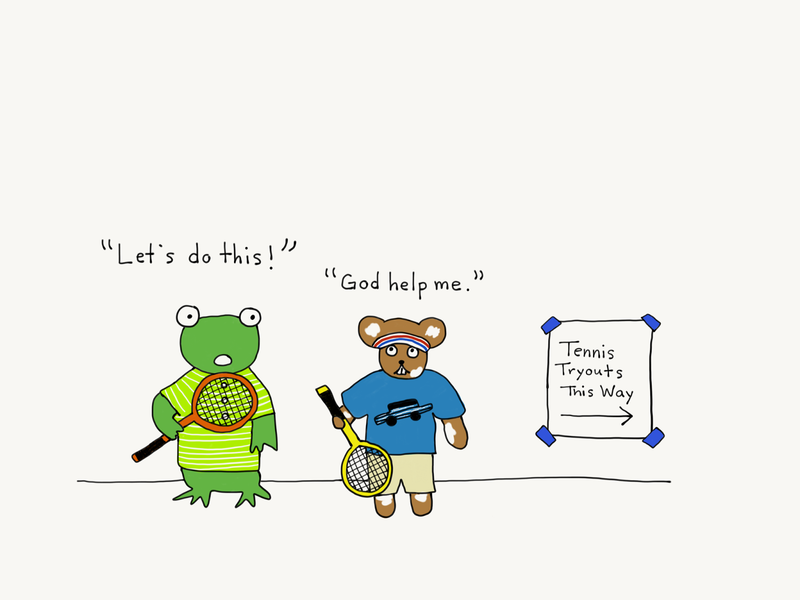 Frog had tried to play tennis over the summer with his friend, Hamster, but it didn't turn out to be as easy as he'd thought. 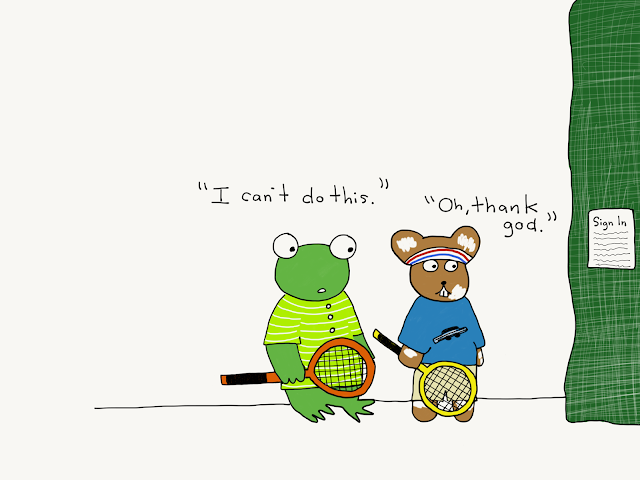 He had "accidentally" thrown his racket a few times. 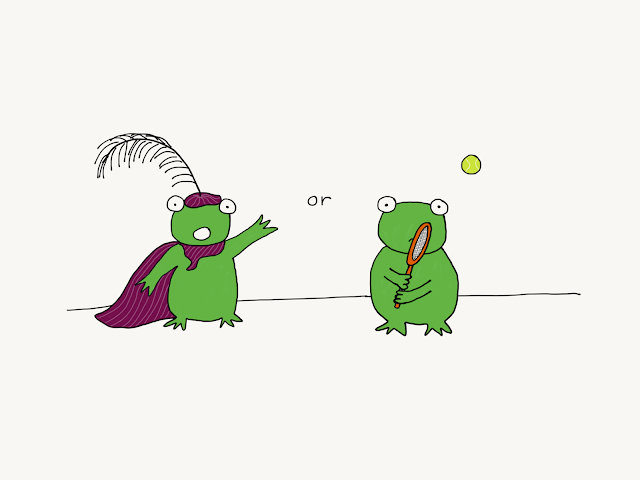 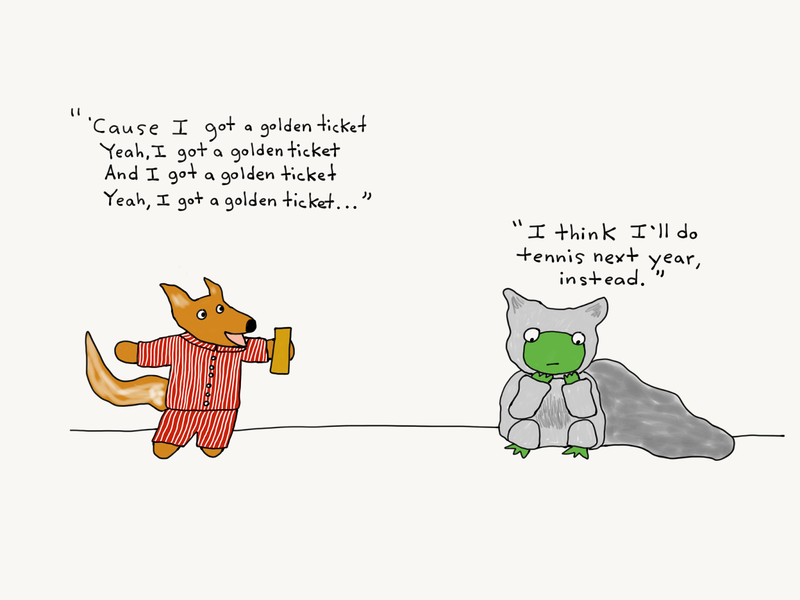 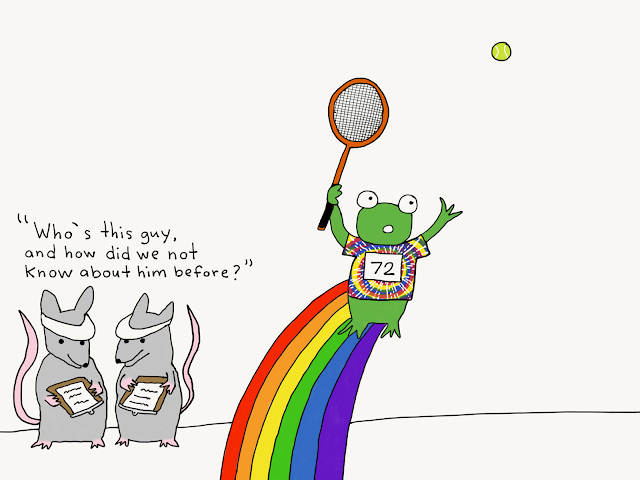 But Frog was a dreamer, and he had hopes that some magical tennis ability would be bestowed upon him as soon as he hit the court for tryouts. 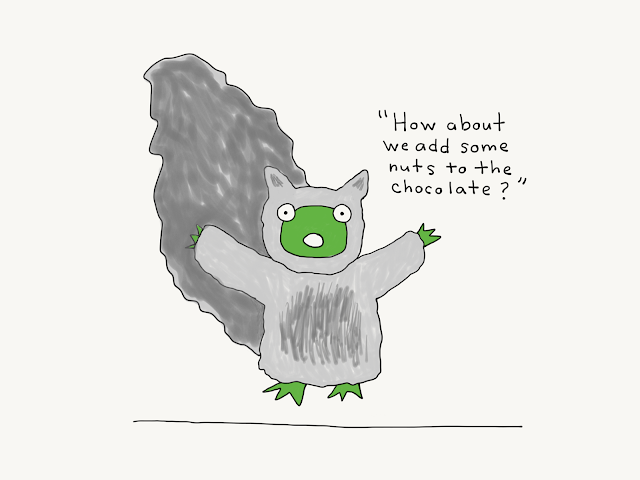 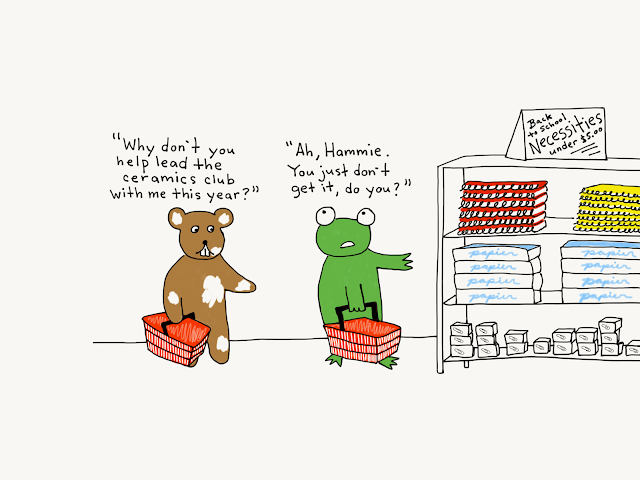 As always, Hamster was the voice of reason. 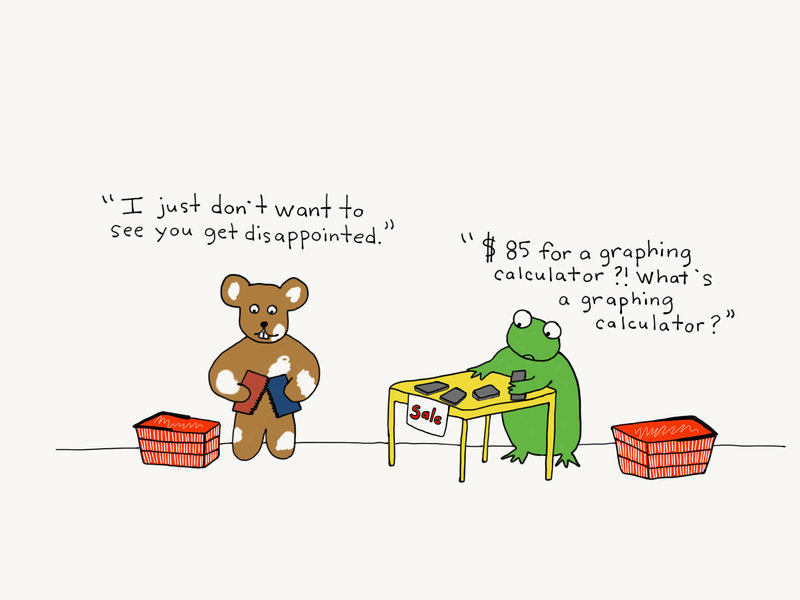 Hopefulness is a bag of fresh school supplies. 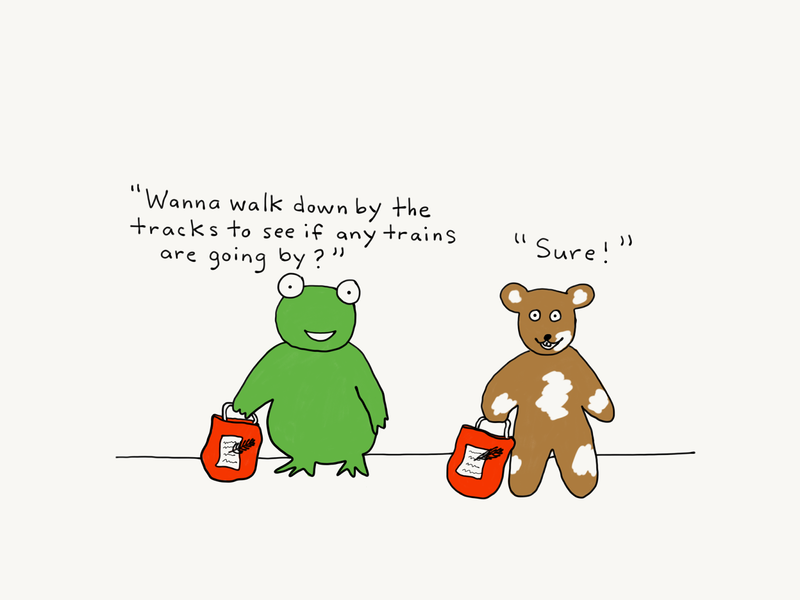 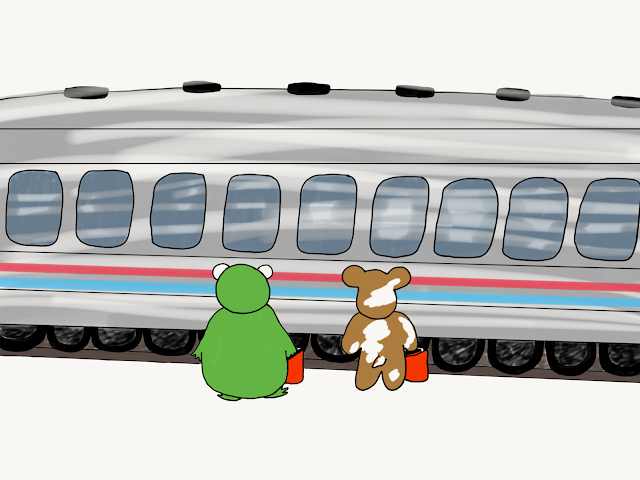 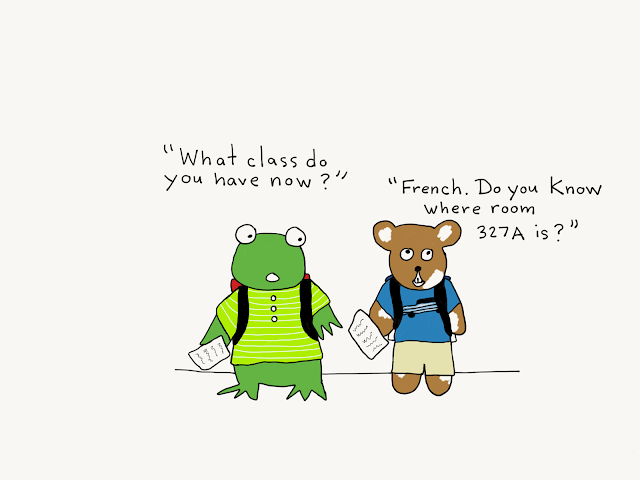 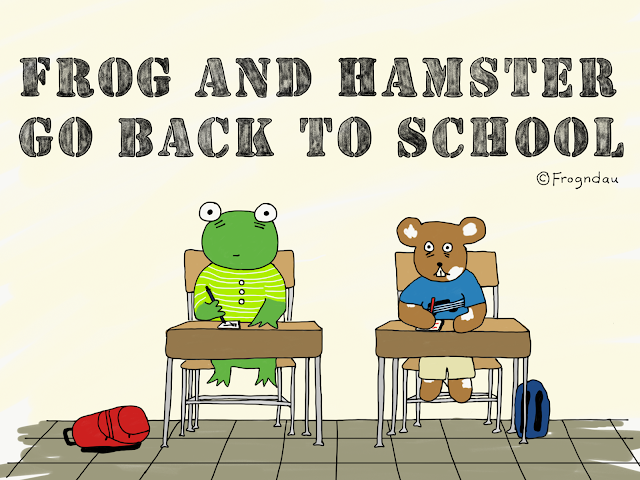 On the first day of school, Frog didn't catch a glimpse of Hamster until the third passing period. Fortunately, they had 4th period music together, but Frog was a baritone and Hamster was a tenor so they had to sit in different sections. 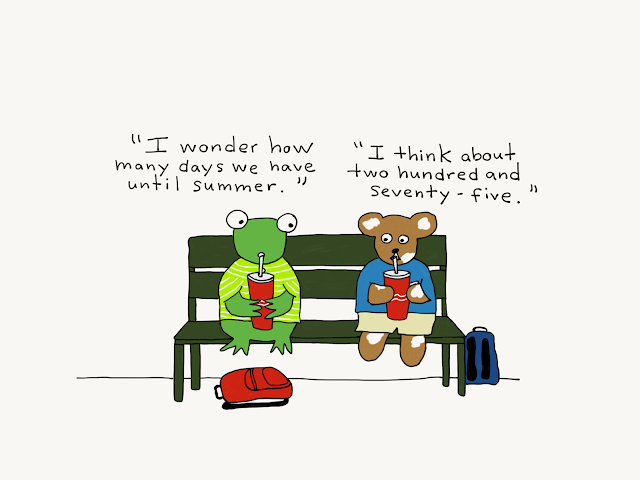 It was a stroke of luck that they both had 5th period lunch. 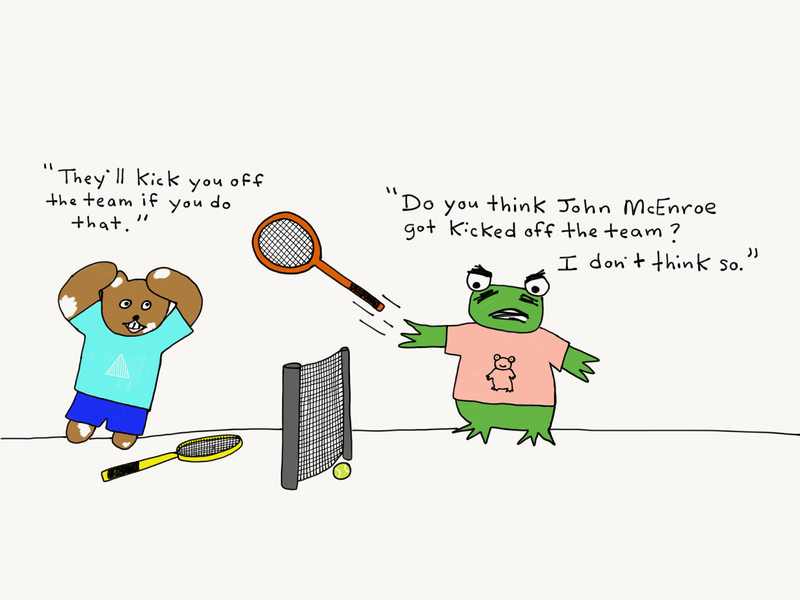 After school, it was time for tennis tryouts. 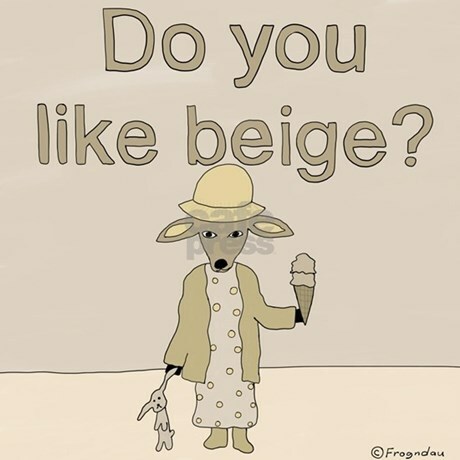 So they went and got milkshakes instead. That night, Frog stayed up late reading the script for the school play, "Anne of Green Gables," and didn't do any of his homework. 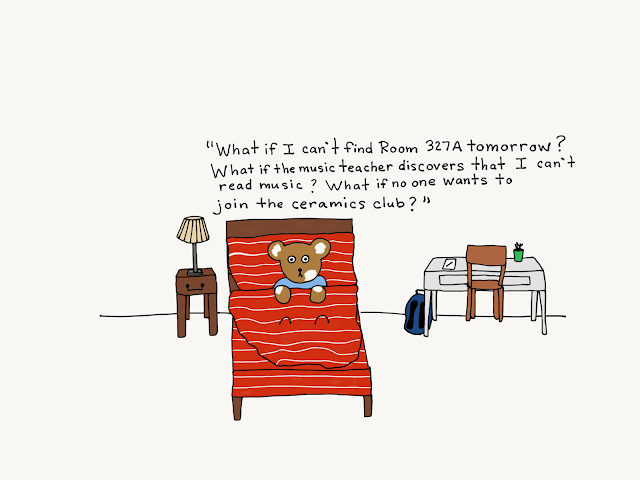 Hamster did all of his homework and was in bed early, but he couldn't fall asleep. 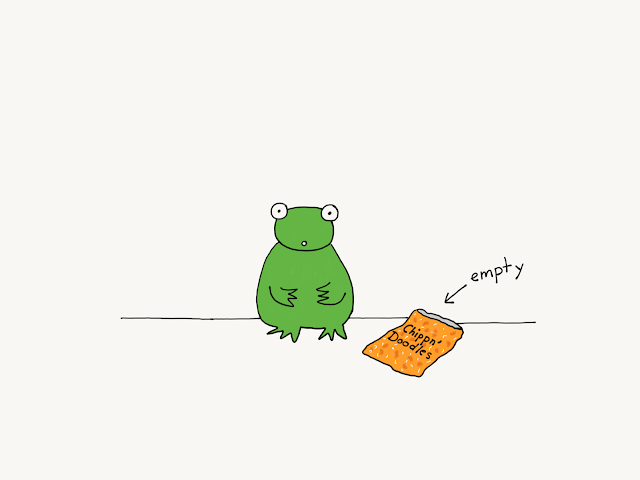 There was too much on his mind. All in all, the school-year appeared to be off to a shaky start.